Being part of someone’s special day is a privilege and an honour. Every person in The Big Kahuna pride themselves on leaving you with great memories and always go that little bit further to make it a memorable one. After 13 years on the road we're still enthusiastic about what we do and are full of energy each time we take to the stage. The band specialise in weddings and I have to say we all truly love our job. Weddings are always happy occasions, old friends and family that you haven’t seen in a while alongside your nearest and dearest all coming together to celebrate this special day, and we get to be part of it by entertaining you all. The musicianship in the band is of the highest standard in the country each one adding their own magic touch to complete the sound that is The Big Kahuna. The Entertainment Co. is in partnership with The Big Kahuna and can deliver the best in live entertainment. 12 acts available rock, pop, jazz, soul, classical and easy listening. We can deliver music for your drinks reception, church service, evening reception and much more. The Big Kahuna - Live Footage! Click the links below to hear some live footage of The Big Kahuna! Give us a call to find out more, thanks for listening and hope to hear from you soon. 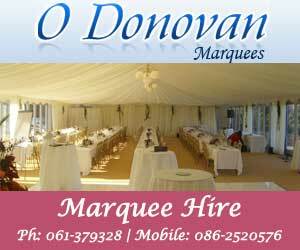 "Special Rates for January & February 2012, Wedding Band covering Northern Ireland & Ireland"